I had this fantasy that I was going to home school my children. It sounded like fun at the time, but then the reality of being out numbered by two feisty little divas quickly changed my mind. But, I did want to teach them some basics like letters and numbers. So I started on a journey to teach my kids their ABC’s and 123’s. I am not a certified teacher so I have no idea how to formally teach, but I do know how to have fun and that my kids really like learning. I introduced our ABC’s and 123’s in some pretty fun ways and with repetition. You don’t need flash cards or need to spend hours teaching your child. Just incorporate teachable moments into some every day activities and make it fun! I started introducing letters and numbers when my girls were around 18 months. By the time they were 26 months they had mastered ABC’s and could count to 20. Cookies– use your favorite sugar cookie recipe. 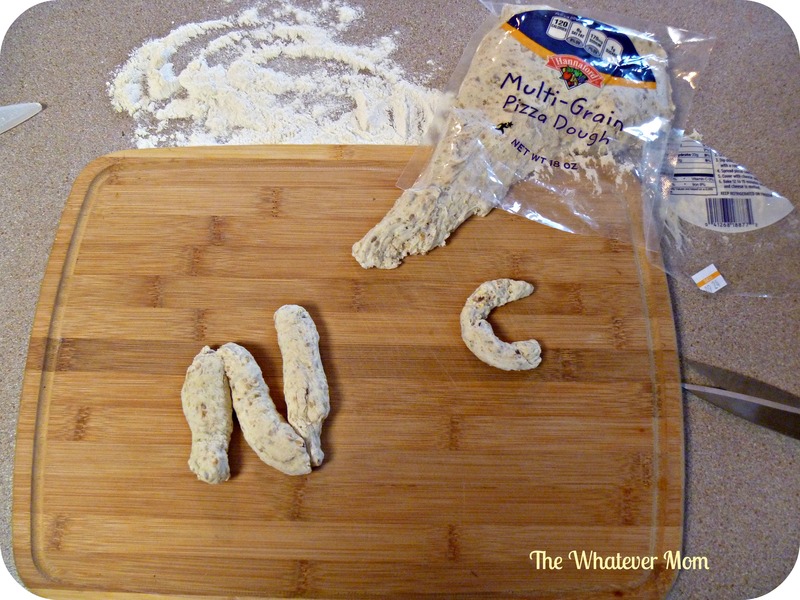 We simply roll out a tube of store bought sugar cookie dough and press out letter shapes. You can go simple and stick to one letter per week, or go all out and help spell words with your cookies. Either way your kiddo will love the end result and it will be a fun experience. Pretzels– use store bought pizza or bread dough to make pretzels. Start by pulling off a small piece and rolling into a snake (kids love this part) and help kids form a letter. Alphabet soup– can’t get any easier than that. Pop a can top and pour, or make from scratch. Whatever works for you! 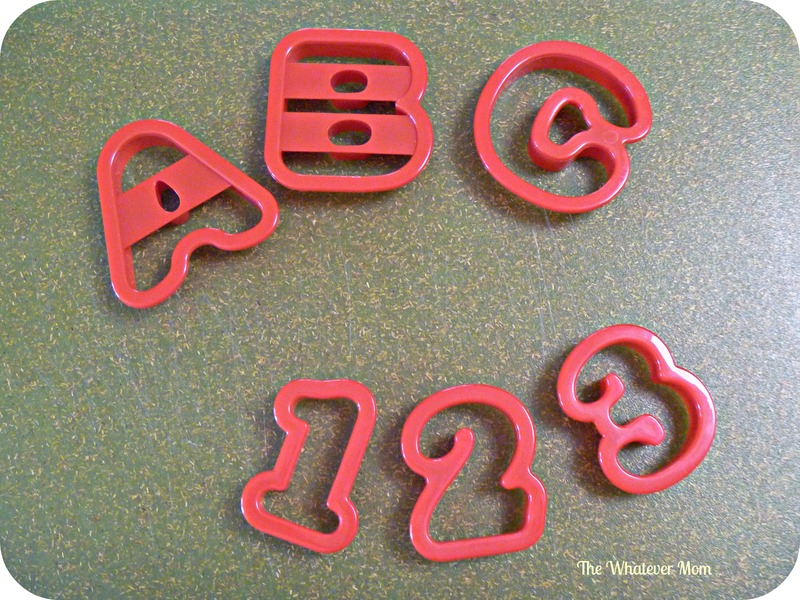 Sandwiches – use letter cutters to cut shapes out of bread and let your kid slather on the PB&J. Pancakes – use a squeeze bottle to mix and squirt pancake batter onto hot griddle. Cook and enjoy! 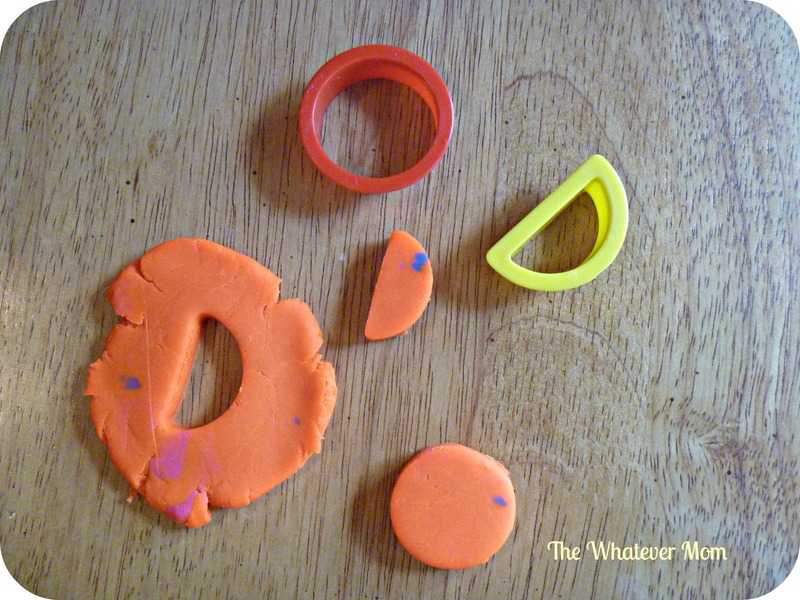 Play dough– cut letters out of play dough for an interactive alphabet experience. 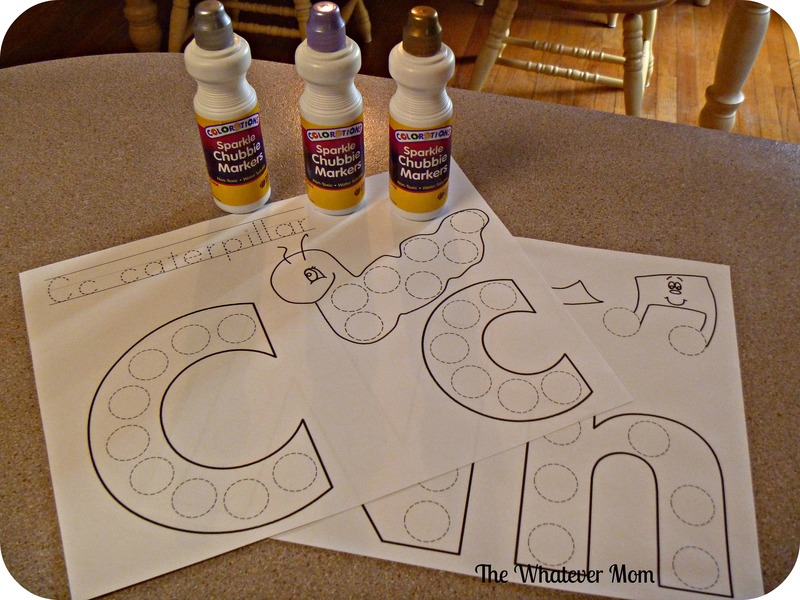 Shaving cream– spray shaving cream (or whipped cream, yogurt, pudding) onto a tray and show your kids how to make letters using their finger tips. If you worry about the mess your little one will make, squirt shaving cream into a plastic baggie and let the air out. They can trace a letter on the bag and the shape will remain. Letter hunt– print out letters (or write on index cards) and hide for you kid to find in your yard or around your house. Take the hunt to the streets and point out letters you see while driving through your neighborhood, or while you are at the store. 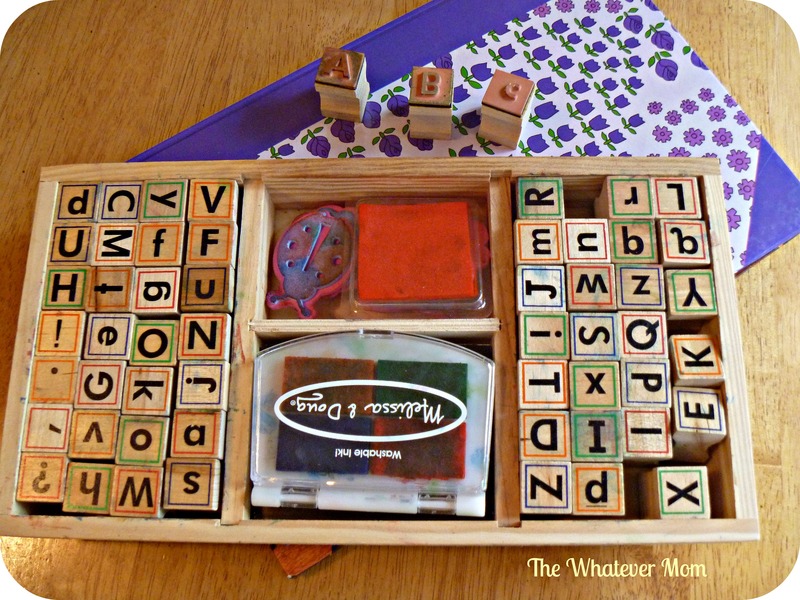 Stamp it out– use colorful letter stamps to create an alphabet gallery. 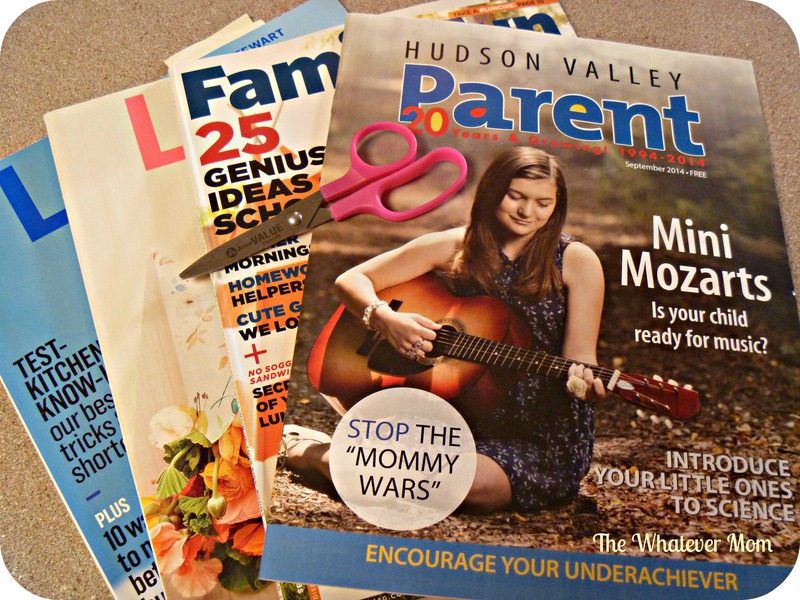 Letter collage– help kids find letters in old magazines to cut out and paste on paper to make a collage. Whatever you do to help your toddler learn make sure it is fun! Never put any pressure to perform or learn quicker than they are ready. Kids all learn at their own pace. What are some of your favorite fun toddler activities?